In the era of rock-bottom airfares, it would be easy to assume would-be travelers are heavily motivated by sticker prices—but that’s not entirely true. In fact, more customers are paying attention to operational performance when choosing which airlines and airports to use. With that in mind, the airline industry is turning to intelligent automation (IA) to help improve the customer experience. The technology, which turns data into actionable information with the help of artificial intelligence, allows companies to automate various aspects of business operations, predict airport security wait times and even make contact centers more efficient. Management consulting firm KPMG reports that companies across all industries are expected to invest $232 billion in the IA market by the year 2025, up from $12.4 billion today. Here’s a closer look at IA’s potential in air travel. According to J. P. Gownder, vice-president and principal analyst with Forrester Research, airports are using automation to “move from big data to insights, and on to action.” While they already have vast data sets at their disposal, their goal now is to turn that data into real-time actions they can use to make practical and progressive improvements, adds Gownder. For example, Copenhagen Airport is using location data to gauge “dwell times” in various terminals, and can predict wait times for passengers in its security lines. Additionally, Auckland Airport in New Zealand monitors traffic flow between the city’s core and the airport to provide real-time data on travel time to help passengers avoid missing flights or employees being late for work. “Predicting gets better over time with enough of the right data,” Gownder says, noting that improving the customer experience “requires working on all aspects of the business, from operations and safety to baggage handling, to not overbooking flights.” And, given that the International Air Transport Association estimates the number of airplane passengers will double over the next 20 years, intelligent automation will be critical in ensuring smoother airport operations. Customer loyalty is important to airlines, but their appeal and reputation can suffer if customers experience delayed or cancelled flights. IA can help to remedy these issues by drawing on historical flight and aircraft data. For instance, Delta is using data monitoring tools to keep aircraft engines running by aggregating fault codes, prioritizing engine alerts and proactively investigating and resolving mechanical issues. The company recently started applying predictive analytics to its new aircrafts to help anticipate delays, service interruptions and cancelled flights as well. Delta also incorporated IA into its customer service model. By making customer data visible to flight attendants, the company has been able to personalize its interactions with passengers. In an article for their website, Sandeep Dube, vice-president of customer engagement and loyalty, described how Delta impressed a customer when a flight attendant on her return flight took the time to personally apologize for the delay the customer had experienced on the first leg of their trip. “Leveraging big data to improve our employees’ ability to recognize our customers in a personalized way is a significant step forward in our customer experience journey,” she writes. Robotic process automation, or RPA, is another form of automation that airlines are finding useful. RPA can help perform repetitive tasks, such as managing flight cancellations and rebookings, issuing refunds and generating tickets prior to boarding. Incorporating this technology into the flight experience can eliminate many of the customer pain points associated with airline travel. Part and parcel with artificial intelligence is intelligent automation, which is also making waves in the airline customer service industry. 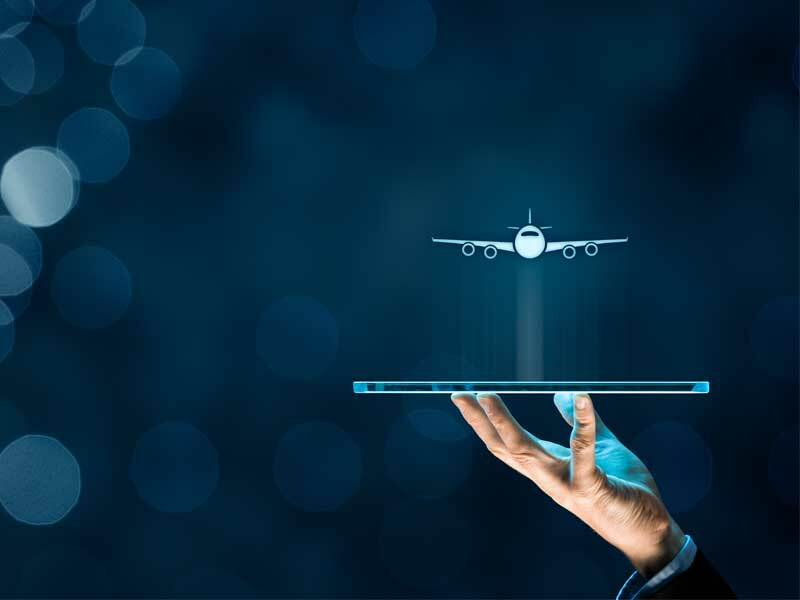 Julien Marcenac, data, analytics and artificial intelligence solutions, TELUS International, believes that while most airlines see the promise of intelligent automation and artificial intelligence, many aren’t sure where to start. The contact center is a logical first step. Customer service agents typically undergo weeks of training, but intelligent automation can decrease the amount of training time needed by assisting agents with routine tasks. Knowledge-management bots can improve the accuracy and relevance of agent responses by creating a hierarchy of existing consumer information that enables them to anticipate future requests based on past queries. Marcenac also notes that artificial intelligence and all of its components are an ecosystem that needs to be cultivated within a company until it becomes a core capability. “Sooner than later, it will become essential for any organization,” he adds. Already, some airlines are using intelligent automated systems to decrease the number of repetitive questions posed to contact center agents by giving consumers the power to get answers on their own via self-service tools such as conversational bots. This frees up these airline representatives to delve deeper into customers’ needs. As is the case with other industries, customer service agents that aren’t under pressure to handle a large volume of tedious tasks are better able to serve the consumers whose issues can’t be resolved by a machine. 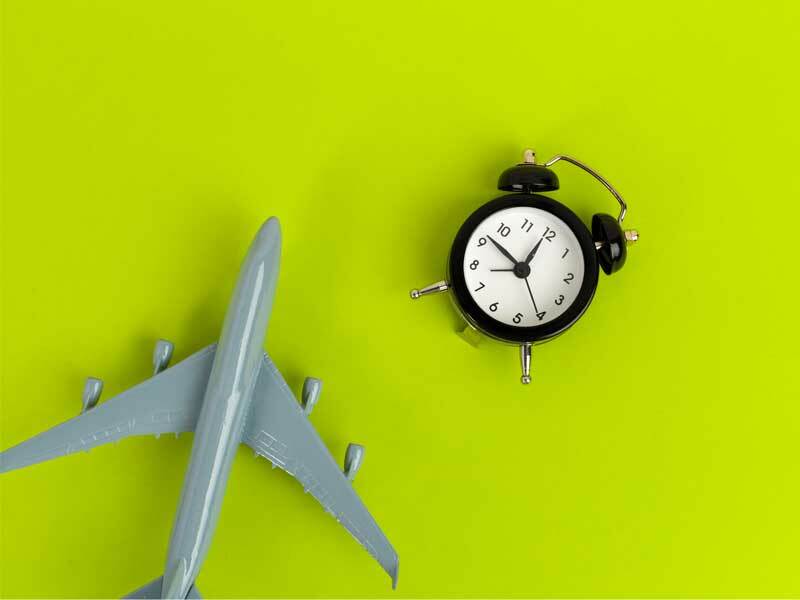 Delivering more accurate flight information, decreasing travel delays and personalizing the customer experience can have a huge influence on companies’ long-term success. 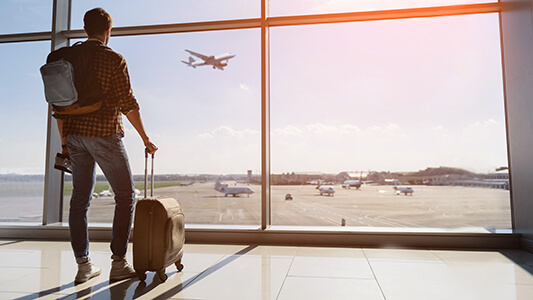 Intelligent automation is proving to be the long-awaited solution to better air travel and a more enjoyable experience for all.